This complete desk framing solution offers you a finished package. 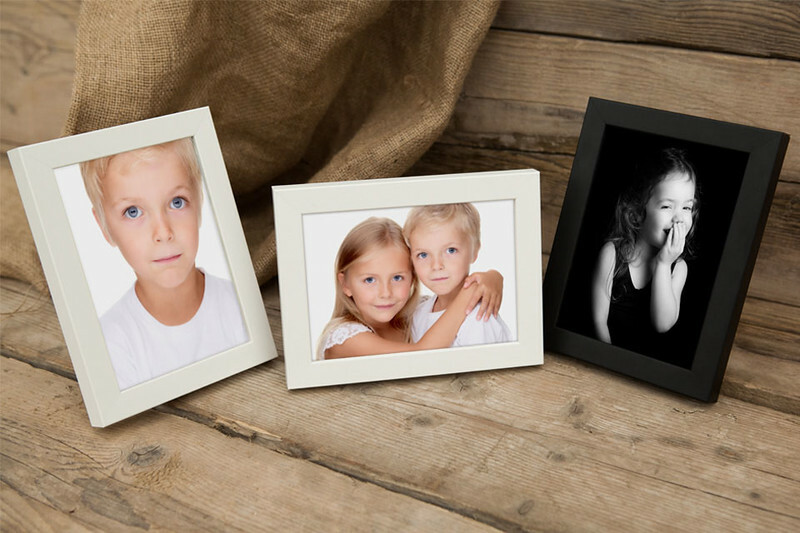 Order your print, frame, and size at the same time and receive a stylish all-in-one product that suits any environment. Frames available in four choices: black woodgrain with black or silver edging, and silver or gunmetal brushed finish with silver edging.